Once you’re done with school, the most likely place to meet new people is through your job. And some of them become terrific friends. Maybe you shared an office and worked on a project together. Maybe the two of you were in the same movie. Maybe you were baristas in the same coffee house. Maybe you taught in the same school. Maybe you found yourselves assigned to the same firehouse after graduating from the academy. The first four books in the Friend Grief series have included some people who worked together: first responders on 9/11, active duty military, war correspondents and actors. All shared a love of their jobs and a deep affection for their friends. All struggled with the grief of losing their friends – sometimes violently and suddenly. My next book - Friend Grief in the Workplace: More Than an Empty Cubicle – expands the notion of ‘workplace’. When someone talks about their job, or their work, most would imagine a desk in a high-rise office building. But that would be a very narrow view of how people spend most of their waking hours. Imagine that your friend died, and to make matters worse, you couldn’t escape the grief at work – because the friend worked with you every day. 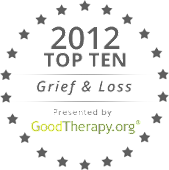 Compounding the grief is the loss of a productive person in your workplace. Maybe you were assigned to do their work until they could be replaced, dramatically increasing your own workload. Maybe the balance of power shifted in the workplace, and others were now jockeying for your friend’s job. Maybe you resented the person who replaced them. If any of these scenarios sound familiar, you’ll identify with the people in the next book, coming in November. And in the meantime, take a minute to think about the people you work with, the ones who you count as friends. And consider that those friendships may be more valuable than you thought.